We’re sure you already know that UBC consistently ranks among the world’s top 40 universities. 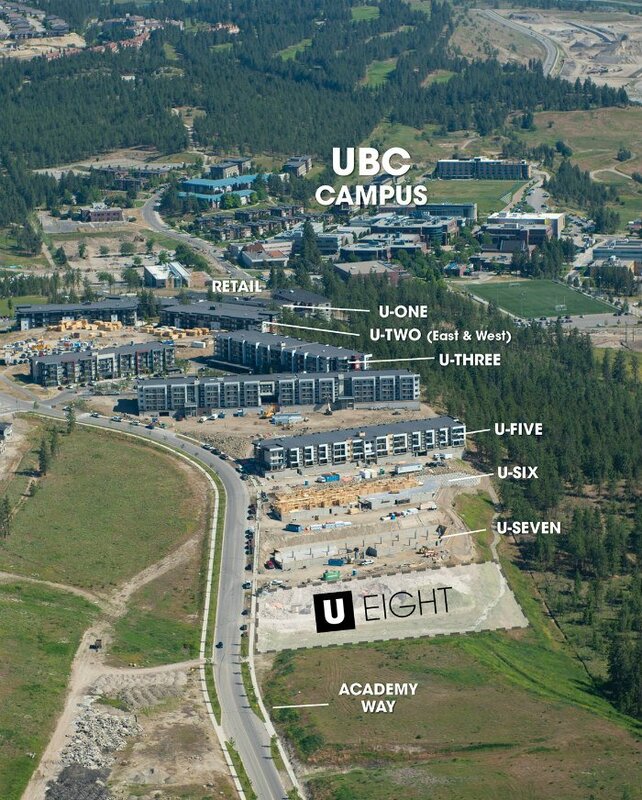 Right now, there are over 9,000 students enrolled at the UBC Okanagan (UBCO) campus in Kelowna, BC. One of the wonderful things about UBCO is that students and faculty gain all the benefits of a globally-respected university within a close-knit learning community. And as more students leave Vancouver to study at UBCO, the demand for student housing increases — on-campus housing can only accommodate 1,676 students. That’s why Kelowna’s Mission Group is building 90 homes with students in mind — U-Eight. The condos are located within walking distance to UBCO campus and with sales launching in early 2019, those interested in buying need to act soon. 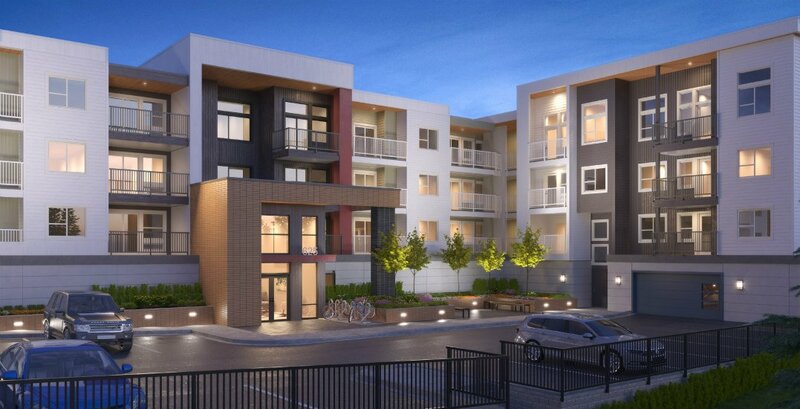 U-Eight is the seventh and final condominium to be built by Mission Group in the University District, offering a selection of studios as well as one, two, and three-bedroom homes. The community also features previous buildings U-Seven and U-Six, which sold out quickly in one weekend. The features, layouts, and floorplans at U-Eight maximize use of space. Each home comes with a full kitchen, in-suite laundry, and every bedroom has its own bathroom. 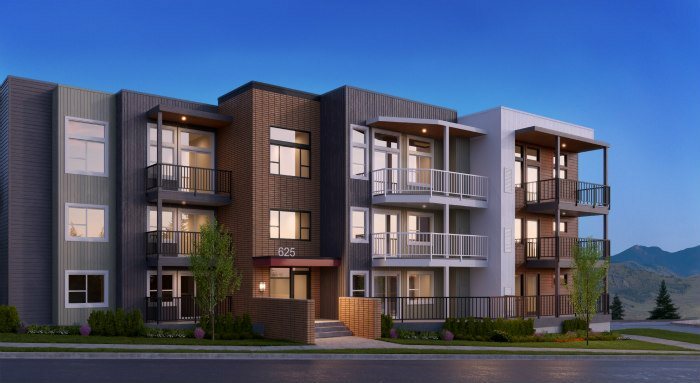 Those who purchase homes at U-Eight have the option to provide student housing for their children attending UBCO or to rent out the apartments to students who want to live closer to the university. U-Eight offers an authentic university living experience without the limitations of a traditional residence. Anticipated starting prices are as follows: Studios from the low $200,000s; one-bedroom homes from the mid-$200,000s; two-bedrooms from the mid-$300,000s; and three-bedrooms from the mid-$400,000s. Construction of U-Eight is projected to start in the spring of 2019 with completion by the start of the Fall 2020 semester. Visit liveatueight.com now for more information and to register for priority access when sales begin.